I’m pretty sure I learned the Seven Deadly Sins from thatÂ Brad Pitt / Morgan Freeman movie. Thanks, Hollywood. I could not love this more! Brilliant! Nice!!! All of your cartoons make me smile or laugh!! If CTRL-S is Pride, is CTRL-Q Humility? 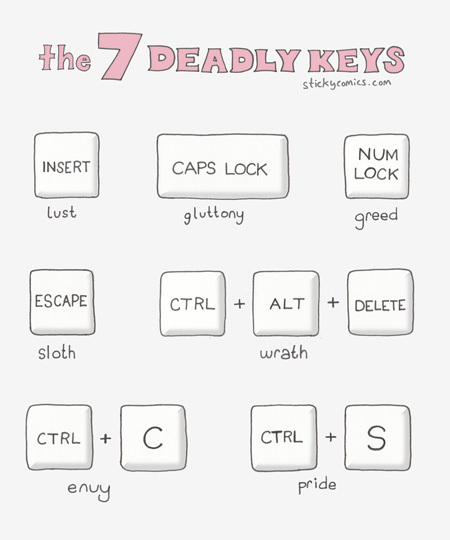 Wouldn’t CTRL-S and CAPS LOCK’s sins be better switched? Not technically a SDS I know, but would Jealousy be Ctrl-X? How about the four cardinal virtues? 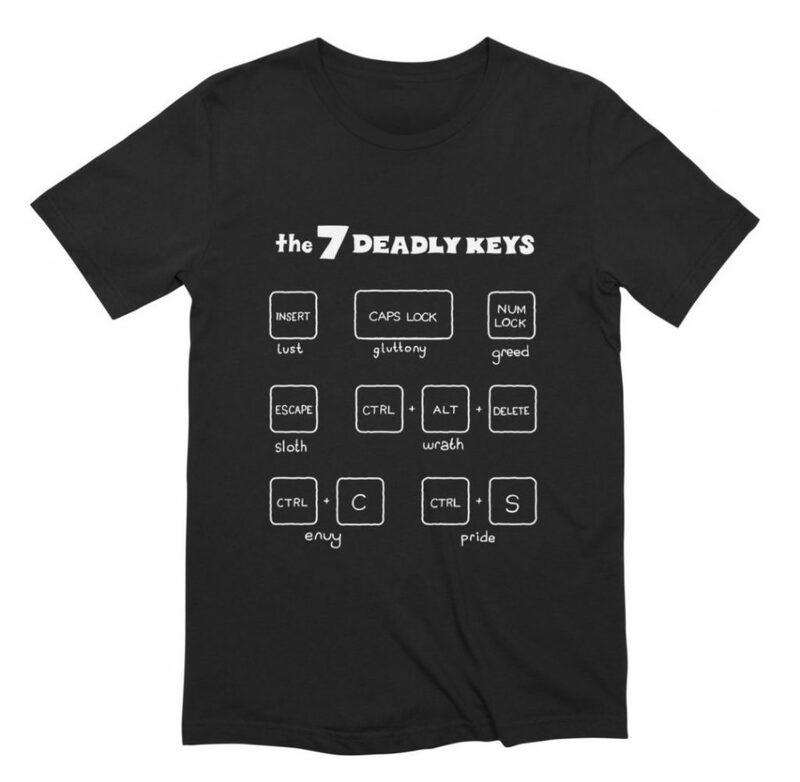 Ctrl+S’ed it. Might Ctrl+V it later.